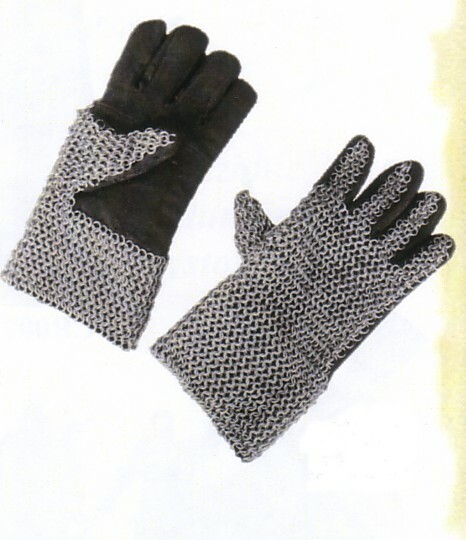 Gloves, leather with chain mail, Hand-made from soft leather and stitched to high-quality carbon steel rings. Inner ring diameter 6 mm. Medieval Knight armour consists of the following parts: Bascinet Helmet, the "hounskull" or "pig faced" type of bascinet visor, Milan, c. 1400: was considerably larger than earlier forms.